Descubre las músicas que hay más allá de la radiofórmula. En el aire desde 1995. 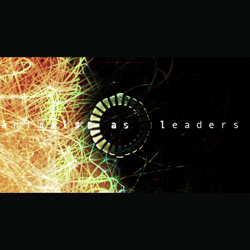 ANIMALS AS LEADERS: "Behaving Badly", de Animals As Leaders, Prosthetic Records, 2009. SCOTT JONES: "One", de Remember, Scott Jones, 2015. THE SIRKIS / BIALAS INTERNATIONAL QUARTET: "Vortex", de Come To Me, Sirkis / Bialas, 2014. HUGO FERNÁNDEZ: "Rana", de Orígenes, Hugo Fernández, 2012. ZHENYA STRIGALEV SMILING ORGANIZM: "Robin Goodie", de Robin Goodie, Whirlwind Recordings, 2015. ROBERTO SOMOZA: "Root", de The Modal Jazz Concepts, Roberto Somoza, 2014. PETE OXLEY & NICOLAS MEIER: "Compass Points", de Chasing Tales, MGP Records, 2015. FLYING COLORS: "Cosmic Symphony: I - Still Life Of The World / II - Searching For The Air ", de Second Nature, Mascot Records, 2014. SCOTT HENDERSON: "The Covered Head", de Vibe Station, Scott Henderson, 2015. SIMAK DIALOG: "Throwing Words", de Live At Orion, Moonjune Records, 2015. DEWA BUDJANA: "Desember", de Hasta Karma, Moonjune Records, 2015. EDUARD DE NEGRI: "Dylan", de Esperit Del Vent, Quadrant Records, 2014. GIO YAÑEZ: "Datta, Dayadhvam, Damyatta", de Zero Point Energy, Free Code Jazz Records, 2014. YUL BALLESTEROS: "Bulli", de Nine Tales From The Inner Space, Yul Ballesteros, 2015. FELIPE VILLAR TRIO: "Lotus Blossom", de Outro, Free Code Jazz Records, 2015. PLINI: "Papel Moon", de The End Of Everything, Plini, 2015. RITCHIE DeCARLO: "Week (not weak)", de Week, Uniblab Recordings, 2013. MARK WINGFIELD: "Voltaic", de Proof Of Light, Moonjune, 2015. AARTI: "5 de Diciembre", de Tritonia, Quadrant Records, 2014. DAVID REGUEIRO SWINGTET: "Ornithology", de Bird Lives!, Free Code Jazz Records, 2015. 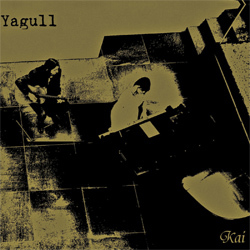 YAGULL: "Omniprism", de Kai, Moonjune Records, 2015. EFRÉN LÓPEZ: "La Boier - Iria", de El Fill Del Llop, Buda Musique, 2015. SKYHARBOR: "Allure", de Guiding Lights, Basick Records, 2014. FREAK ZOID: "Seven Zoid", de Freak Zoid, Uniblab Recordings, 2007. CONTINUO: "Agricantus", de Inverted Maps, Continuo, 2015. PAOLO TOMASELLI: "Country", de Floating Bridges, Quadrant Records, 2014. HUGO FERNÁNDEZ: "Bakio", de Cosmogram, Origin Records, 2015. TELMO FERNÁNDEZ ORGAN TRIO FEAT. PHIL WILKINSON: "A Smooth One", de The Soul Jazz Beat, Vol.1, Free Code Jazz Records, 2015. CHRIS POTTER UNDERGROUND ORCHESTRA: "Imaginary Cities: I Compassion", de Imaginary Cities, ECM, 2015. 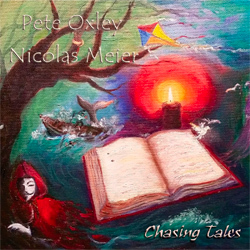 PETE OXLEY & NICOLAS MEIER: "Riversides", de Chasing Tales, MGP Records, 2015.